This October my team wanted to help raise funds for breast cancer awareness and research. Stephanie chose Breast Cancer Ireland as our charity. 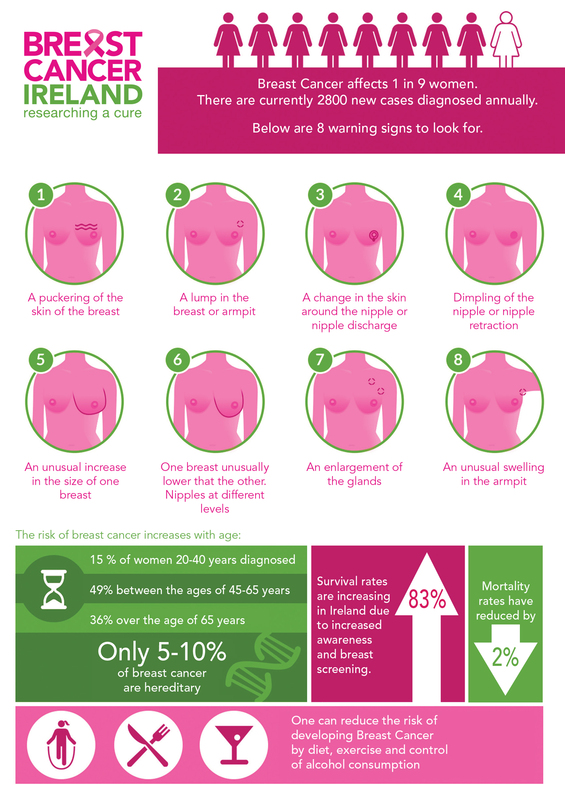 Breast Cancer Ireland is a registered charity (CHY 19926) established to raise significant funding to support pioneering research programmes nationally as well as to promote education & awareness on the importance of breast health amongst women of all ages. To heighten awareness and education on the importance of breast health amongst women of all ages – Earlier detection will save lives. Between 23rd and 26th October we are offering first consultation and scans for only €20 (normally €75). All proceeds go to Breast Cancer Ireland. The charity has also released an app that you can download to your phone that will send you a reminder either every month or quarterly to perform a breast check. Click on this link to download the app. 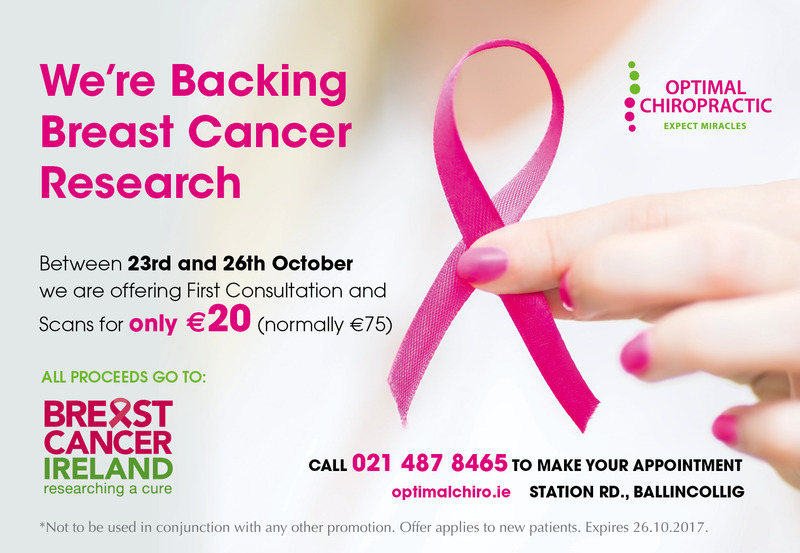 If you wish to avail of our special offer of €20 for initial consultation and scans please call Mary on 021 487 8465 before 26th October. You’ll not only be improving your own spinal health but also supporting this charity. Not to be used in conjunction with any other promotion. Offer applies to new patients. Expires 26.10.2017.